a) Code of Conduct and Philosophy :- Company is committed to business integrity and high ethical values. The company firmly believes in good corporate governance and continuously endeavors to improve focus on it by increasing transparency and accountability to its shareholders in particular and other stake holders in general. The company has Audit Committee, Remuneration Committee, Shareholders Committee etc. comprising of independent directors. b) Listing Information : - Company’s shares are listed at Bombay Stock Exchange and regularly traded under ‘B’ Group. The shares of the company are also listed at Calcutta Stock Exchange, Ahmedabad Stock Exchange and Jaipur Stock Exchange. The depositories for demated form of trading are NSDL and CDSL. Stock code at Bombay Stock Exchange is 530533 and equity ISIN no. INE 390D01011. f) Distribution Schedule & Shareholding pattern as on 31st December 2018.
g) Next Board Meeting : - The Next Board Meeting is schedule to be held on 13th February, 2019 at 04.00 P M to consider Un-Audited Financial Result for quarter ended 31st December, 2018.
h) Annual General Meeting :-Annual General Meeting for the year 2017-18 shall be held on 29th September,2018 at 10:30 AM. i) Book Closure & eVoting period :- Book Closure for the purpose of AGM shall be from 21/09/2018 to 29/09/2018 (both days inclusive) and the e-voting period begins on Wednesday, the 26th September, 2018, from 10.00 A.M. (IST) and ends on Friday, the 28th September, 2018, 05:00 P.M. (IST). Unaudited Financial Results for the Q.E 30th June, 2009. Unaudited Financial Results for the Q.E 30th June, 2010. Audited Result for the Q.E and year ended 31.3.2012. Unaudited Financial Result for the quarter ended 30.06.2012. Un-audited Financial Result of Terai Tea Co. Ltd. for 30.06.2014. Un-audited Financial Result of Terai Tea Co. Ltd. for 30.06.2015. 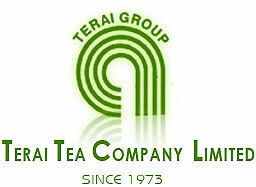 Copyright © Terai Tea Company Ltd.
by LEE & NEE Softwares (E) Ltd.